Perhaps, the sensitivity presents itself after indulging in a hot beverage or announces itself during a delicious ice cream dessert. Many of our clients suffer from temperature related sensitivity issues. Understanding the underlying cause of your dental sensitivity can help you avoid coming into contact. Many of our clients suffer from grinding and clenching their teeth, known as Bruxism. Consistent clenching of the jaw can degrade the protective enamel on the surface of the teeth and cause the underlying dentin layer to become exposed. 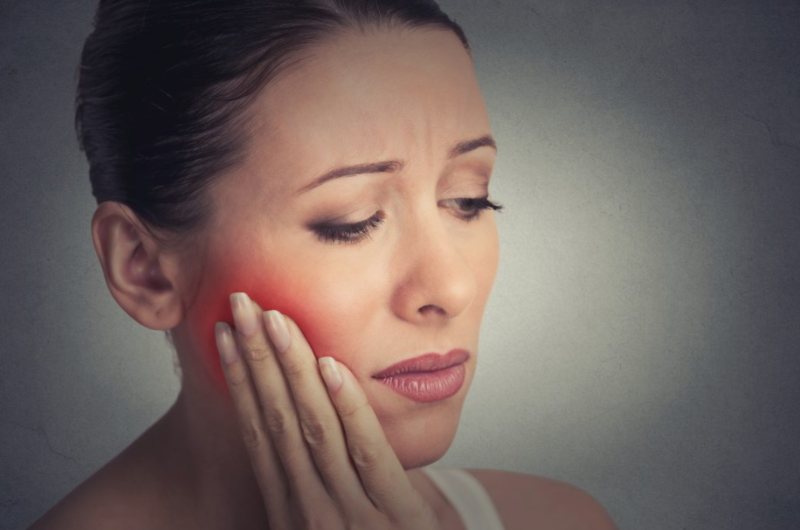 Extreme repetitive pressure from clenching the jaw can cause the gum line to recede and lead to exposed tooth root surfaces, which can become very tender. Once sensitivity is determined, a comprehensive oral exam will detail the damage and we can discuss preventative measures. It can become awful when it hurts to smile. Clients report having pain while smiling on windy beaches, on the ferry or even riding motorcycles. Others, completely forego favourite foods and beverages due to the potential discomfort. True Dental in West Kelowna can help you fill in the missing dentition to create a stronger smile prone to less sensitivity. We have special varnishes and product recommendations including toothpaste choices that can tremendously help you find your smile. Imagine the sensitive parts of your affected teeth to be porous and prone to discomfort. Now, imagine learning how to seal those tiny openings with sensitivity formulated toothpaste to create a stronger and more protected foundation. 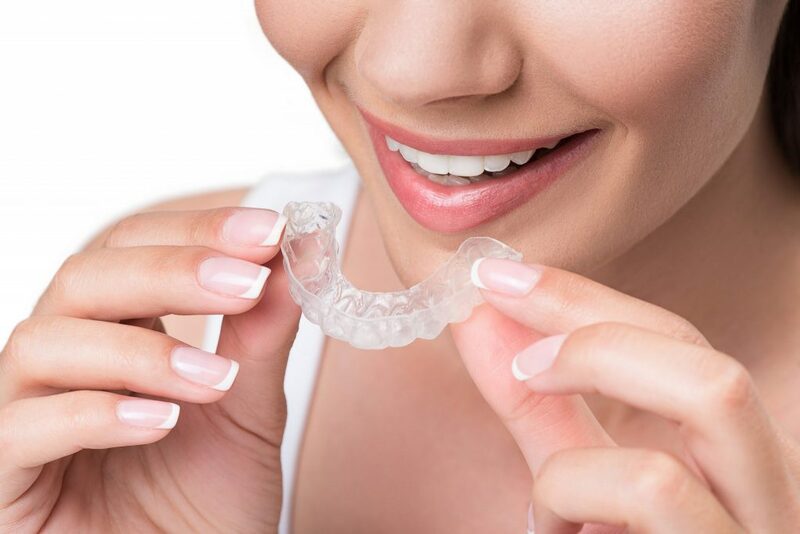 If the underlying cause of your dental problems correlates with consistent clenching of the jaw and teeth grinding associated with Bruxism, a custom night guard may become your new best friend. Giving your teeth and jaw support at bedtime can offer superior protection from persistent damage. Many clients are unaware they suffer from Bruxism until their partner mentions grinding and tossing and turning at night or when their oral exam reveals telltale signs. Worn out grooves in molars and smooth dentition, cracked teeth and damaged enamel, chronic headaches and sore neck and face muscles are hallmark symptoms. A custom night guard is easily made with fast impressions sent to the lab. Your teeth will no longer be able to grind against each other and you will be able to preserve your enamel. You will be sleeping sounder and smiling without sensitivity much sooner than if you choose to ignore the problem. Sleep Apnea, TMD and Bruxism may be related for some clients. We invite you to update your medical history with us at each appointment to ensure our records are up to date and we can offer you the best care and preventative maintenance for your smile! 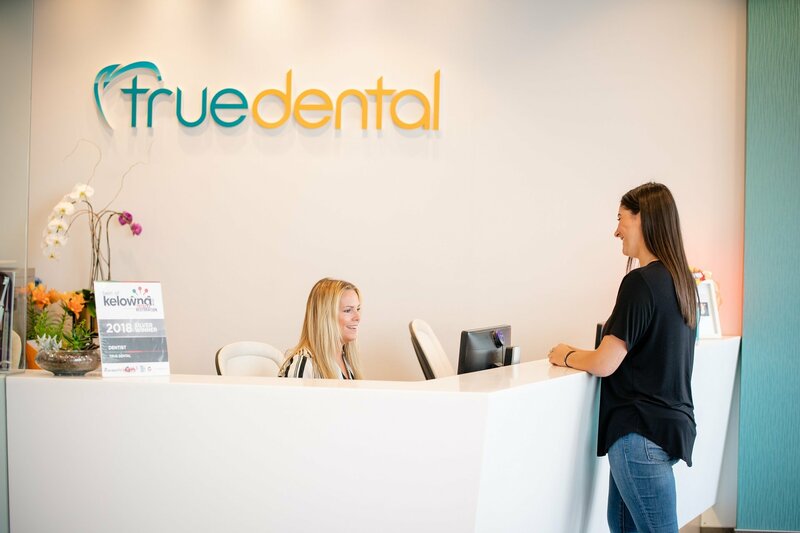 Book your complete oral exam today at True Dental in West Kelowna. Our friendly and professional team will assess your grin and determine the cause of your sensitivity issues. We will recommend individual solutions to help secure your smile. Book your “Sayonara Sensitivity” dental checkup at True Dental today.